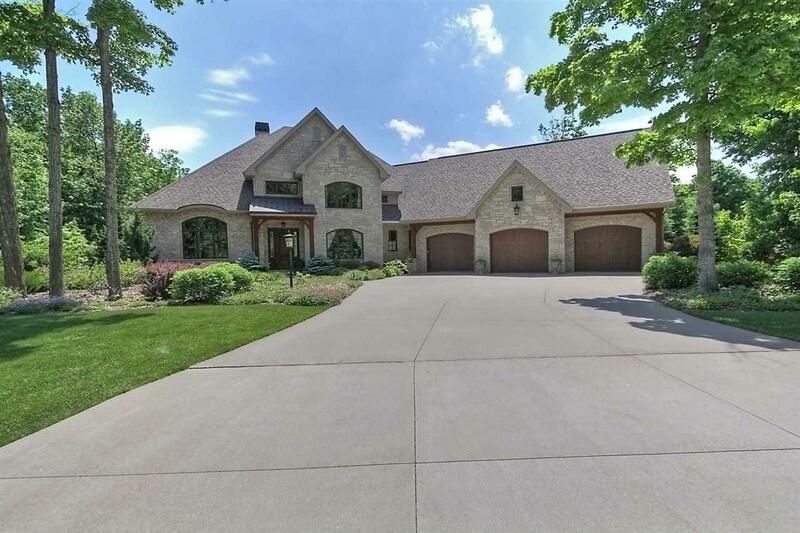 Gorgeous, custom stone & brick home on sloping site. 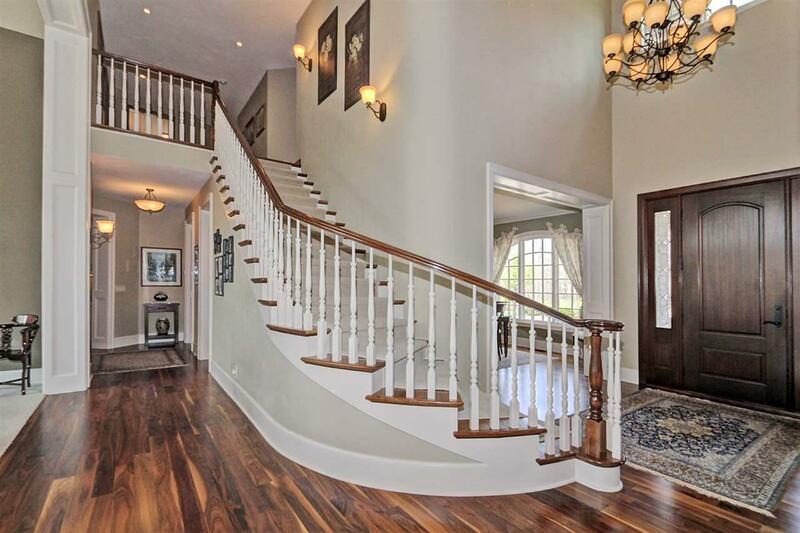 Enter to beautiful wood floors & open staircase. Large windows throughout make every room bright. 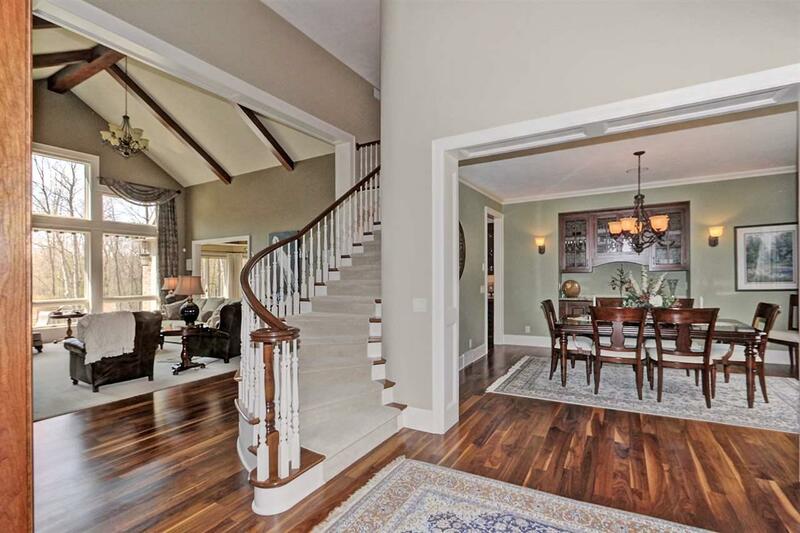 Great Room features vaulted, beamed ceiling & is warmed by a wood FP. 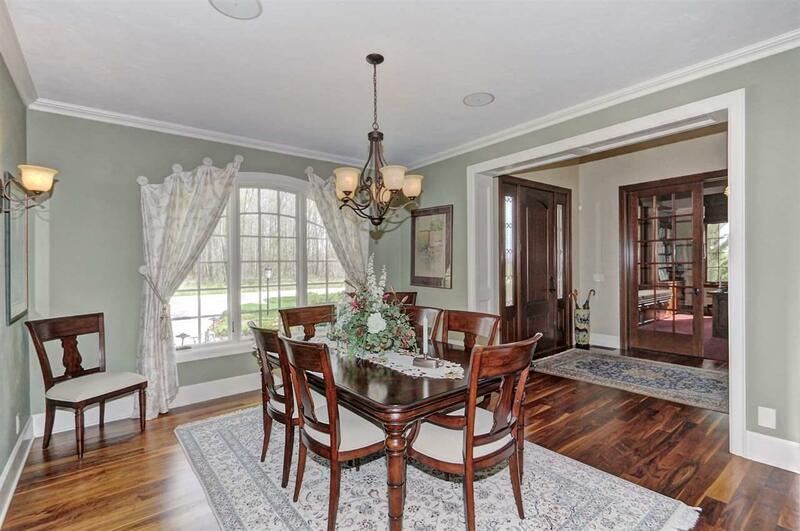 You'll love the kitchen as it extends to the hearth area & FP while the opposite end is the inviting 3-seasons room. 1st floor owners suite offers great views while you relax by the gas FP or enjoy the steam shower. Exposed windows & walk-out access to patio in LL. Work-out area, bath w/sauna, family rm & wine cellar. Separate "Cottage" currently used for woodworking.